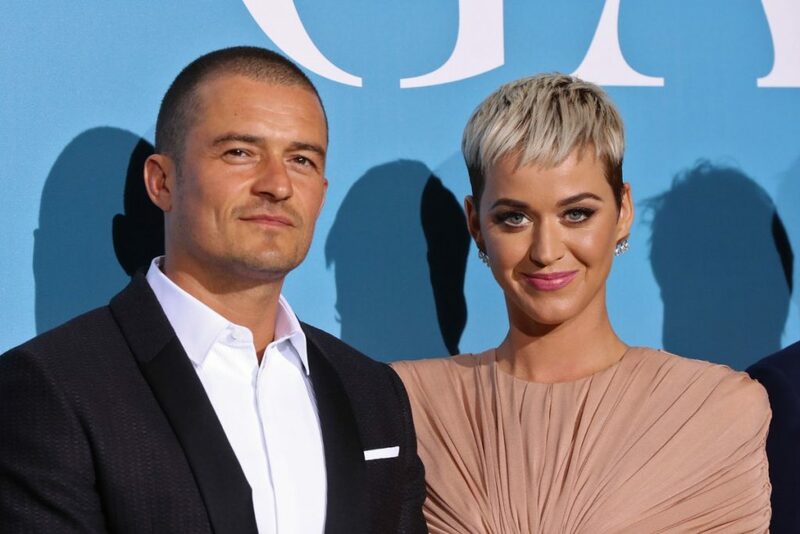 Last week singer Katy Perry announced her engagement to actor Orlando Bloom with an Instagram post showing off her beautiful new engagement ring. 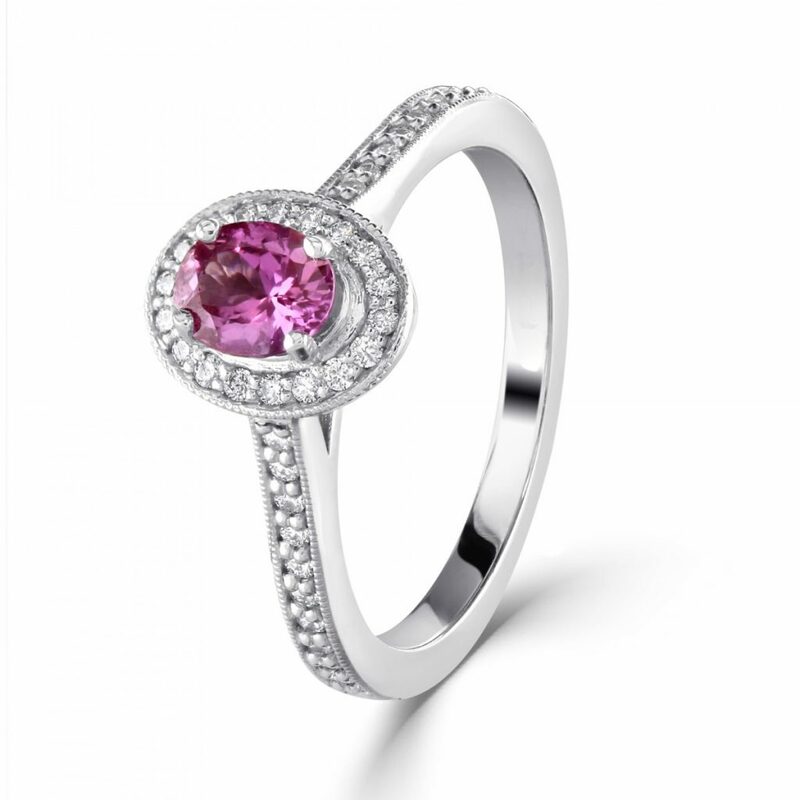 Breaking convention, Katy’s ring features a stunning deep pink centre stone surrounded by a cluster of diamonds. 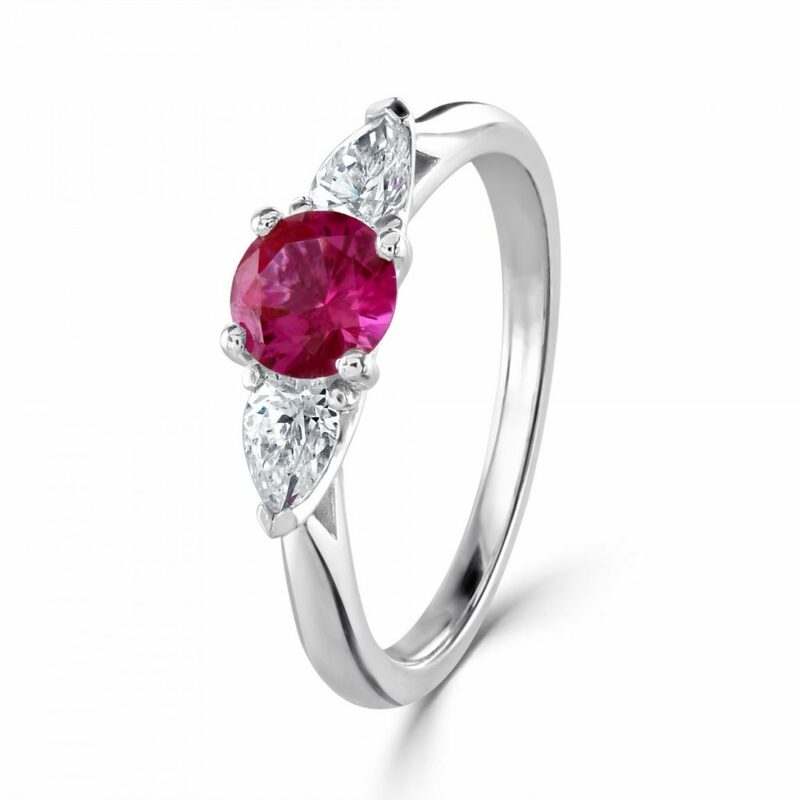 The pair are yet to confirm whether the stone is a ruby, pink diamond or pink sapphire, so it’s hard to estimate a value at this point, but regardless of its pricepoint no one can deny that the floral inspired ring is truly stunning. 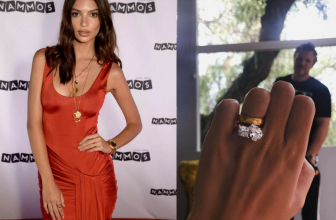 Following the pairs engagement, there have been a number of comparisons drawn to the design, linking it to many other high profile celebrities including Orlando Bloom’s ex wife Miranda Kerr. 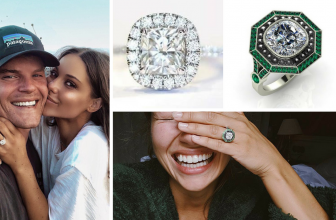 Back in 2010, Orlando Bloom proposed to model Miranda Kerr with a flower-shaped diamond ring (reportedly worth $5 million) which bears a striking resemblance to Katy’s new ring. 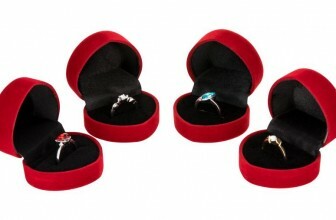 Some people have suggested that the flower theme is linked to Orlando’s surname, Bloom. Whilst others insist it’s a popular style and a total fluke. 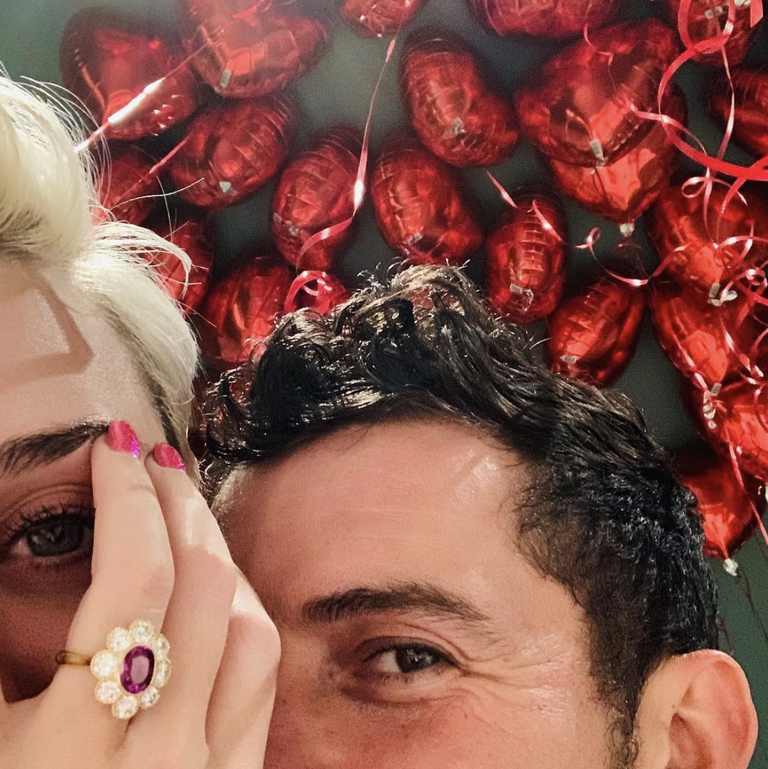 Other’s have linked Katy’s engagement ring to two other recent celebrity engagements, both Lady Gaga and Princess Eugenie. 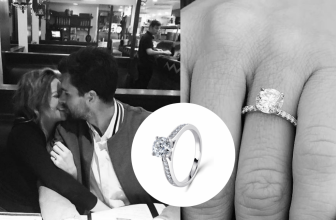 Lady Gaga’s engagement ring is a beautiful pink diamond cluster ring, and Princess Eugenie’s is a stunning padparadscha sapphire cluster ring. 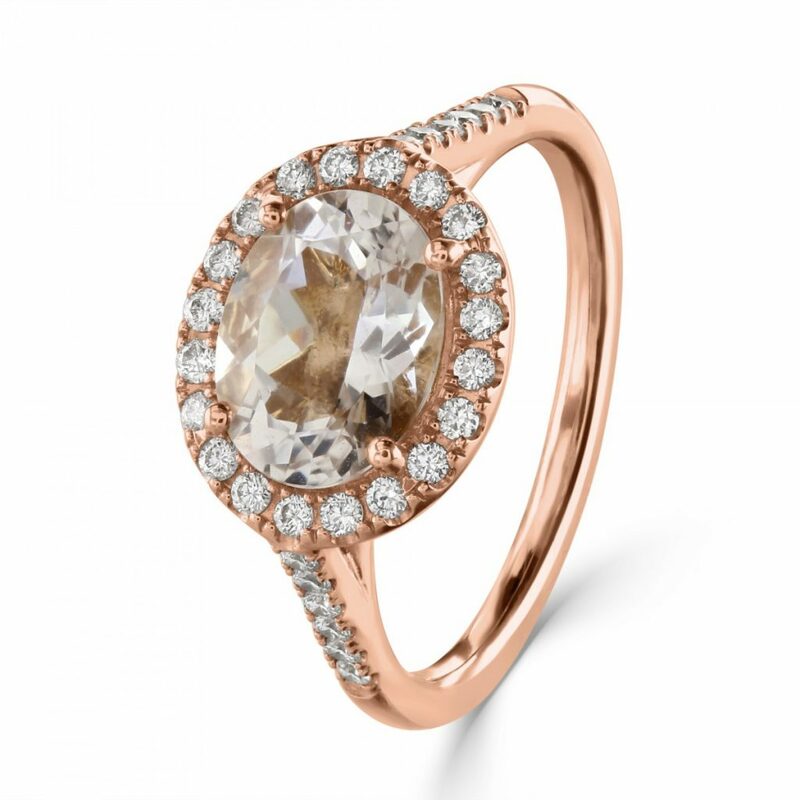 It would seem that coloured gemstone engagement rings are definitely gaining popularity amidst the stars, which is no surprise considering that coloured gemstone jewellery is a wonderful way to break from traditions and express your unique personality. 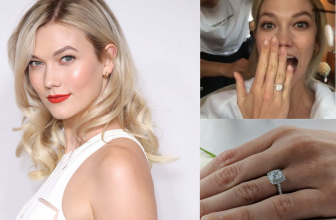 Which celebrity cluster ring is your favourite? 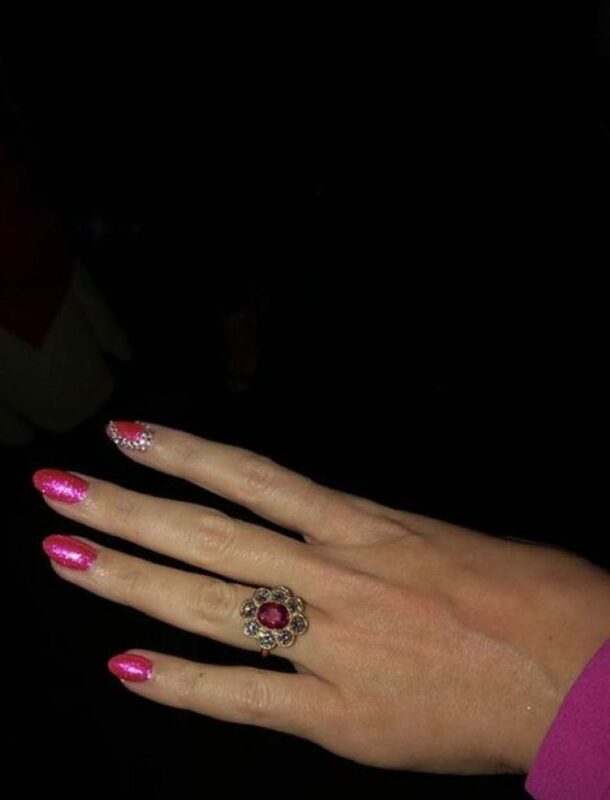 Katy Perry, Lady Gaga or Princess Eugenie? 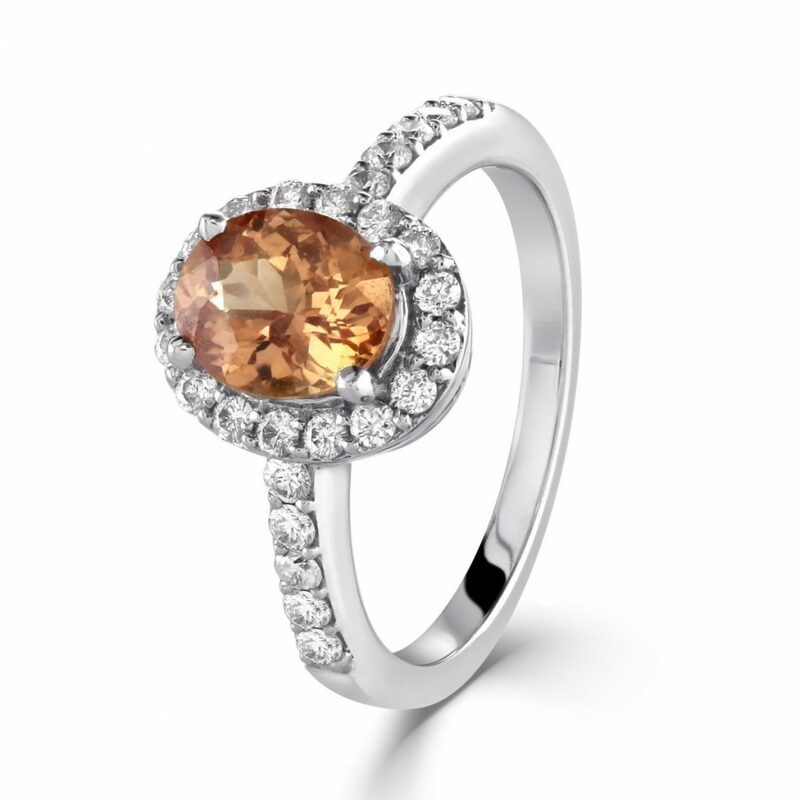 We’ve got a beautiful selection of coloured gemstone cluster rings here at Wakefields, so if you’re searching for something similar enquire in store and we’ll be more than happy to help you find your dream engagement ring. 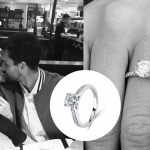 Double Take – How to Copy Brittany Snow's Round Brilliant Cut Diamond Engagement Ring!